Multiple Cloud Storage Manager - Manage All Cloud Storage in One Place. FREE App for Sync, Backup and Transfer Files between Cloud Storage. Transfer files among multi clouds, FTP and WebDav for easy file management and information delivery. MultCloud supports schedule transfer to renew contents on the other cloud drives after every certain period of time, parallel transfer to transfer multiple tasks simultaneously, power-off transfer to transfer data when computer is power off, task manager as well as logs view. 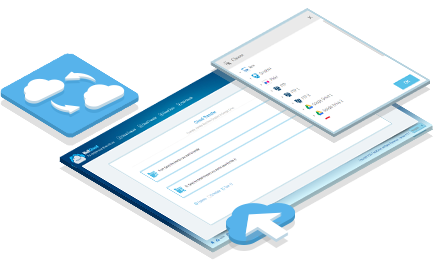 MultCloud syncs two clouds or directories in two cloud accounts through one-way sync or two-way sync. One-way sync includes simple sync, mirror sync, move sync, cumulative sync, update sync, incremental backup sync and full backup sync all nine ways. Furthermore, it supports schedule sync, task manager and logs view. 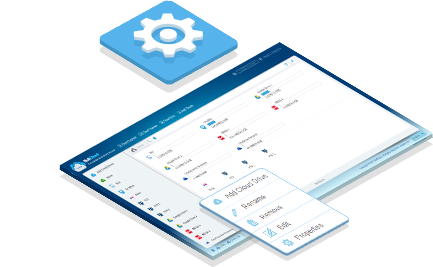 As a multiple cloud storage manager, Multcloud can manage multiple cloud storage accounts like in Windows explorer, including upload, download, delete, rename, preview cloud files; create new cloud folder; share, move, cut/copy & paste files across multdrive. It can also combine multiple cloud services belong to different cloud drives into one and enables you to use them like in one cloud drive. MultCloud supports Google Drive, Dropbox, OneDrive, MEGA, etc. all about 30 cloud drives. These clouds are popular and safe cloud storages which gain large number of users all over the world. Multcloud.com is an online cloud storage manager that allows users to link their various cloud services to a single site. Here you can transfer files, preview documents, and generally make better use of the storage facilities. Once a cloud-to-cloud transfer or sync begins, the user can simply shut down his or her browser or computer, and MultCloud will complete the task offline. MultCloud’s free Google Chrome extension allows users to monitor file transfers between clouds at any moment — all while you browse the web. As an administration staff, it is a tedious job to modify and share them with my coworker. But MultCloud helps a lot. With the help of this multiple cloud storage manager, I can manage cloud files easily, for example, I can copy my files from one cloud drive (DropBox for example) to another one (Google Drive) easily. First of all, I have to admit that I am not an IT expert. But I still have created accounts on three cloud services: Amazon A3, SugarSync and Box. It drives me crazy to manage these accounts. And searching for a certain file among three clouds is really a nightmare. No more! After I found MultCloud! 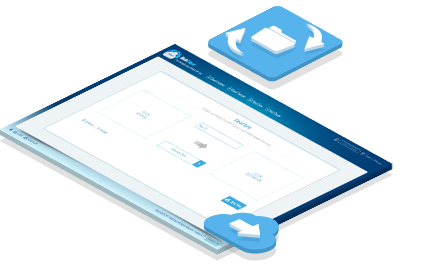 You can use Multcloud, a multiple cloud storage manager, to consolidate all your clouds such as cloud to cloud backup, sync or transfer, be free to register and use "MultCloud"